I'm trying to upload a server sketch to my Arduino uno Microcontroller and even though the code compiles I get this message right at the end of compilation (avrdude: stk500_getsync(): not in sync: resp=0x00) usually when I know the sketch is uploaded my router (that's hooked up to the Ethernet shield) usually blinks a few times but that's not happening. I recently had to switch the ide on another computer because my laptop I originally used for arduino projects is acting funny and the IDE cannot find my COM3 port and I can't seem to fix that problem either. fix the problem with my laptop and try to run the sketch there or just figure out why I'm getting this error? Could be a bad driver. Could be the wrong COM port selected. Could be something hooked up to the Arduino that is messing with its ability to communicate. How do I know I have a good COM port cause it seems if it knows my device is there then I should be good but I gues thats not the case. and as far as the problem with my laptop how do I get it to recognize that its even hooked up? Unplug the Arduino. Check the Tools > Serial Port menu and take note of anything currently listed. Plug it in, and check the menu again. The new one would be the correct one. and as far as the problem with my laptop how do I get it to recognize that its even hooked up? I unplugged and a new port COM3 pulled up but when I plugged back up it still creates the same message. I guess I have to figure out which of my USB ports is the actual COM3 (I have 5 USP ports) how do I find out which one is COM3 pointed at? I think we need to see the log. Probably a dumb question, but are you uploading the sketch with the Ethernet shield on or off? Also, can it upload one of the basic example programs? I have to figure out which of my USB ports is the actual COM3 (I have 5 USP ports) how do I find out which one is COM3 pointed at? That's not how it works. Things plugged into USB ports become COM ports; USB ports themselves, are not COM ports. Pls help me regarding this error , i am frequently getting this error 'Re: what does this error mean (avrdude: stk500_getsync(): not in sync: resp=0x00)'while uploading the program in arduino fio using usb serial. You can try to re-download the software and then update the driver. Usually when I got that error, it was because I had my Bluetooth module still plugged into the TX/RX pins. Once I removed it, I was able to upload my sketchs. 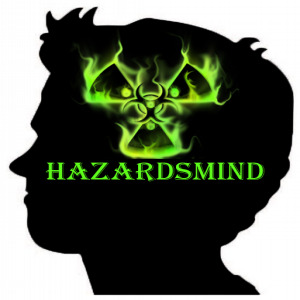 HazardsMind, you nailed it. Moving connections out from the TX/RX (0/1) pins did the trick. Thank you so much. I NEVER would have guessed this! Hi I am experiencing the ssme problem. Can anyone guide me how to solve the problem? My board is anrduino duemilanove. It is very strange when I try to upload a sketch using IDE 0022 everything works as it should but when Iuse the latest IDE 1.0.5 I get the error as mentioned in this subject. IDK more what to do. There is a sticky at the top of the forum. It says that if you are posting on the Programming section, you post your code. Without your code, how can we possibly help you? Without your code, you can bump until the cows come home, and you'll just be wasting your time, and ours.